Looks like your finally finding some time to get out on the water. Looks like the fire has been rekindled. Nice fish. Thanks for sharing! Good to hear from you Evan! Thanks, I’m hoping for the time to post as spring comes. Take care. Beautiful fish! I have had the most luck downstream in the colder months. So glad your back up and running again! D, Cheating…maybe yes I may have said that, I still feel that way sometimes HOWEVER, you still have to be able to put the crack infront of the trout so it’s like cheating with some amount of skill. Thanks for keeping up, p.s. I owe you a few things… Hope you and your dad are doing well. I have been following your page since I moved to SE MN and I want to say thanks! Being a 2 year trout fishing beginner, It’s nice having someone to live vicariously through. Yesterday I went out to whitewater and tried my hand at some streamer fishing. I usually nymph or use dries and have been hesitant to try streamers but I tied some up and gave it a shot and landed my biggest trout. I think I have read that you usually use streamers and I was wondering if you had any tips? Thanks again! Hey Bryan, thanks for letting me know this site helps others. Congrats on the recent streamer sucess and yes I do fish streamers, maybe to a fault. If I’ve got a reason to fish a dry fly I will no questions but I like a certain type of water and it lends itself to streamers most of the time. So tips…Be confident, fish EVERYTHING from the 6inch deep riffle to the deepest of holes, I like putting my streamers right in cover and pulling them out, every so often a fish will chase out after it. Another thought would be to move, and keep moving. You might be able to pull 3,4,5 fish from a spot with nymphs but a streamer most days is going to take one or two from a given group of trout or spot. I fish the water thoroughly but I do not linger long, if I’ve caught a trout out of one spot and I make another dozen casts with nothing I move on. I’m always watching for that flash though, if I get it I may stick around a bit longer. Hopefully that helps some, keep up the fishing and take care. 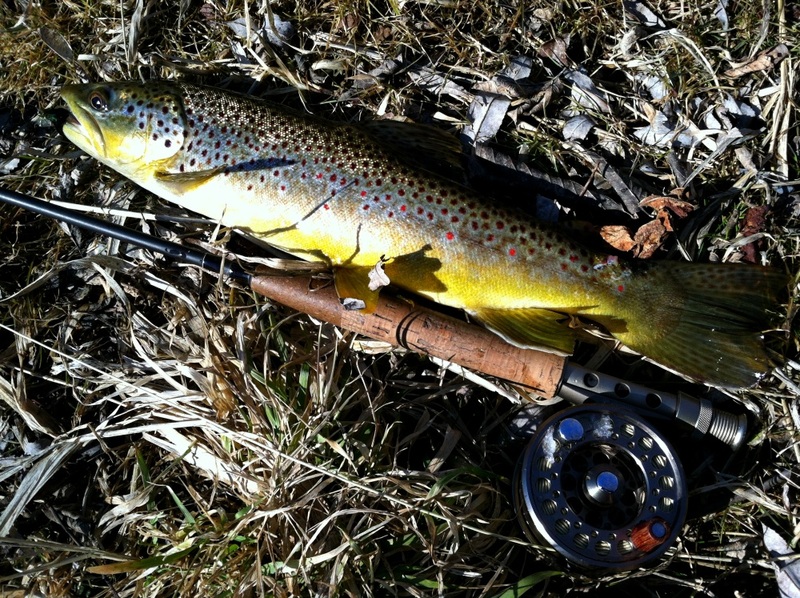 Thanks for sharing your trout adventures. I enjoy your website and check in every so often to see whats happening. Your descriptions are great and the pictures add lot to your story. I’ve been trout fishing and tying flies for a number of years but always enjoy learning new things from others who enjoy the beauty of the sport.